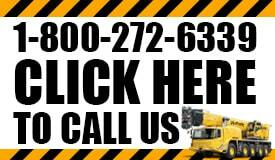 Looking for local crane service in Virginia is different than looking for it in other states. The reason is because of rough terrain, harsh weather conditions, small spaces to maneuver and other obstacles that make renting cranes more of a challenge. As a builder, you are fully aware of the challenges that come with construction in this state. You know the value of hiring an experienced subcontractor who will not only get the work completed on time, but do it safely. The last thing you need is for your work to be stopped because of a mistake made by a subcontractor that costs you time and money. Equipment repair: It’s very common in the construction industry to have equipment breakdown. We use and abuse them but unfortunately, it can cause major delays. We work quickly to repair your heavy duty equipment to get it back up and running as soon as possible. Certified rigging: Even if you have your own machinery, you may need assistance with tougher projects. Our crews are experienced and ready to handle any task and will get it done safely. No job is too big or too small for us to take on. Storage: Space on a jobsite is very limited and you need room to operate. If you are cramped for space, you can contact us about our storage options to help give you the room you need to complete a task. It’s also very important to keep a jobsite clean to help avoid injuries and accidents. 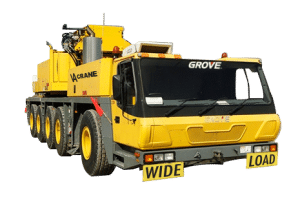 As your leading local crane service company, we offer many options with the goal of helping you complete a task as quickly and as safely as possible. As you browse our website you will find plenty of options that are available at very competitive prices and you get the added bonus of knowing you are getting the assistance of an experienced, certified team that can handle any challenge that comes our way. When you look for a company to hire for crane rental, make sure that you are basing your decision on the quality of work they will deliver as well as their selection of equipment. The goal is to find one sub who can work with you on multiple projects over the years, saving you the time it takes to find one. The reason the selection of construction equipment is so important is because you want to know that the company you’ve hired is able to handle any job, big or small and still deliver the best quality work possible. VA Crane Rental is the team to call for local crane service. However, we provide more than just a great selection of equipment and the ability to get the job done safely. We also offer additional services like equipment repair and storage to ensure that you are getting the best quality assistance at a fair price. Getting a job done is a team effort and our goal is to be a valuable part of the team, regardless of our role in the project. If you are ready to get started contact us today and receive an on-site consultation for free.